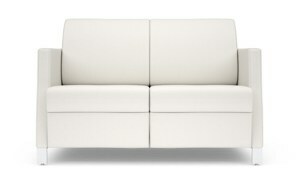 "big boys" and get quality sofas and chairs at a lower price. Save money with a company who really wants your business. 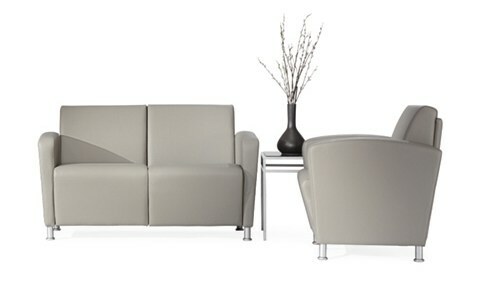 See complete selection of lobby/ lounge furniture below. brushed satin nickel metal legs and fully upholstered or solid wood arm caps. Seat depth: 19"; Seat height: 18¼"; Back height: 15"; Arm height: 8". Seat depth: 19"; Seat height: 18¼"; Back height: 15"; Arm height: 8"
Fully upholstered seating frame constructed with CNC Cut Furniture Grade Plywood. Joints are CNC Cut/ puzzle jointed together, corner blocked, glued and screwed. Textiles are hand-tailored over 100% polyurethane foam - meets CAL 117 standards. All feet options utilize a common height and mounting hole for field adaptability. Standard with wood feet and upholstered arms. Optional wood arm cap is available. Optional brushed silver cast aluminum feet w/ adjustable glides are another choice. Solid Maple feet include a fixed glide. Available in 17 different wood finishes. Feel free to contact us for a quote. Quantity discounts are available. *Note: Pricing is based upon upholstery grade selected. 14 different grades are available. 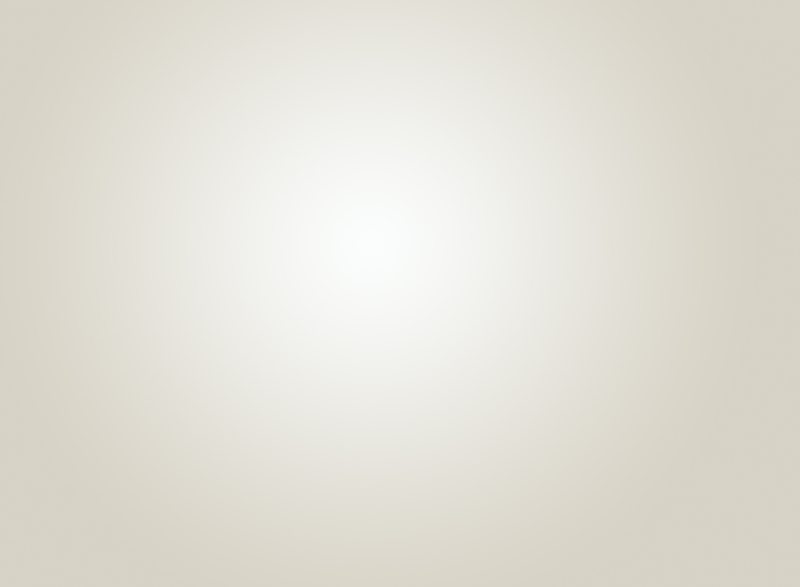 Click here to view choices or contact us for sample swatches/ literature. Serious inquiries only. Free freight, dock to dock within the contiguous 48. Delivery: Approximately 4 to 6 weeks. This 41 piece collection of furniture includes lots of features and options. 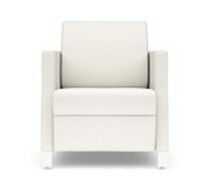 fully upholstered, wall saving design that minimizes wear and tear in lounge environments. Seat depth: 24"; Seat height: 17½"; Back height: 17½"; Arm height: 8¾". Seat depth: 21"; Seat height: 17½"; Back height: 17½"; Arm height: 8¾". A variety of matching tables, benches and chair configurations are also available. Please contact us for literature and color swatches. Serious inquiries only. available with three edge style choices. Please contact us for literature. Heavy-duty, Bariatric rated at 500 lbs. weight capacity per seat. Wall saver design reduces wear and tear on the backrests and your walls. Removable back cushions allow for on-site cleanability. Arm tablet options and contrasting fabric option are available. Fully upholstered seating frame constructed with plywood and steel. Textiles are hand-tailored over 100% polyurethane foam - meets CAL117 standards. Choose tight single seat cushion or split seat double seat cushion - same price. Solid hardwood feet feature a fixed glide. Available in 16 different wood finishes. 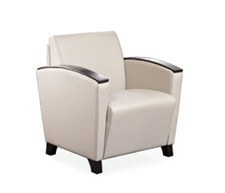 Optional two tone locking Club Chair casters include black urethane tread. Quantity discounts are available. Delivery: Approximately 4 to 6 weeks. 500 lbs. wt. capacity per seat! color chart, which provides a more accurate depiction of the vinyl you will receive on your chair. made to order with your color upholstery and are non-returnable. Copyright 2005 - 2016, SW Med-Source Inc., All Rights Reserved.